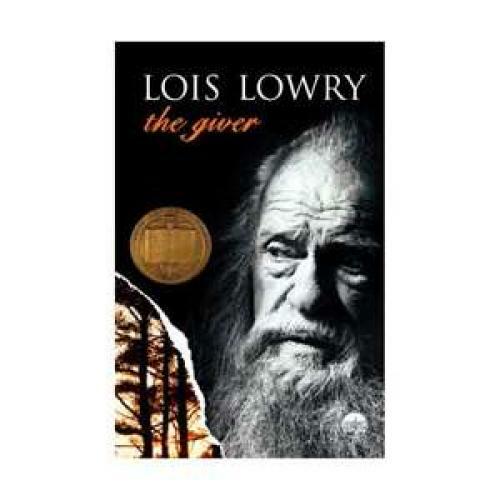 THE YEAR 2013 will mark the twentieth anniversary of Lois Lowry’s beloved dystopian novel, The Giver. Last month, Lowry published the fourth—and final—book in The Giver quartet, called Son. As the only book in the series to return to the community where we met Jonas, The Giver’s protagonist, this new novel is different from the second and third installments in the series, Gathering Blue (2000) and Messenger (2004). (Those books were not so much sequels as additional stories from the dystopian future.) Not only does Son return to the same place—that ultimate disciplinary society—but it returns to the same events. If Lowry’s previous books from the quartet allowed The Giver to continue as a hermetic reality, this newest book penetrates the first novel’s narrative, almost as revisionist history. This is troublesome for someone like me, who believes that The Giver stands as a nearly perfect and singular work. Many books invoke childhood fantasies to heighten the everyday into a magical other-world—people walk, but they also know how to fly; there are rivers, but some flow with chocolate. The Giver’s other-world, by contrast, is stripped of things we take for granted: there are bicycles, but no need for bike locks (there is no crime) and you have no clue whether your bike is blue or red (everyone is color-blind). The book challenged young readers with this imaginative inversion, and it attunes them to the power of spare prose. Its narration is lean and economical, and the characters’ speech is laser sharp. (From kindergarten on, children in the community must practice “precise speech.”) The Giver was widely hailed and widely banned—almost in equal measure. For me, it is one of those “I remember where I was when I first read it” books: in my sixth-grade classroom, sunk in a beanbag, oblivious to everything else. So, although I’m a Lowry lover, I was more skeptical than excited to learn that she had returned to fill in the spaces and answer the questions that The Giver left behind. Open-endedness does not make a book deficient. A novel is a glimpse into a particular world; the author decides whether we look through a window or peek through a keyhole—and, hopefully, the decision reflects a purposeful artistic judgment. To let us peek through a keyhole, only to suggest years later that we really ought to be looking through a window, feels like a betrayal. Lowry herself declared, in a letter still available on Random House’s website, that she did not plan to write a sequel for exactly this reason. “The Giver is many things to many different people,” she writes. “I don’t want to put my own feelings into it, my own beliefs, and ruin that for people who create their own endings in their minds.” But apparently, she has changed her mind. The question now is: what does this expanded view present? Does it stand on its own, and does it diminish the original work? As the title implies, Son is primarily concerned with probing the ideas of family and parental relations first presented in The Giver. In The Giver,children are raised in family units of one mother, one father, one son, and one daughter. They are assigned to professions at “the ceremony of twelve,” and may later apply for a spouse and then a baby. The community functions like an efficient machine, with each person a well-behaved cog. In this stringent society, where people do not love or make any choices for themselves, Jonas is selected to be his community’s Receiver of memories from the Giver—the previous Receiver of memories of all the things foreign: grandparents, snow, war, pain, etc. His gift is called the ability to “see beyond”—but he is really a receptacle for everything that has come before. In his openness to all human experience, Jonas is an outlier, but the message the book imparts is one that applies to all its readers: the sensory, emotional, and intellectual riches of life are a gift. In a remarkably plain but moving way, the book argues that messy experiences are superior to scrubbed-clean existence: that pain is worth bearing, desire is worth sustaining, and memories are worth retaining. (Importantly, the Giver’s living quarters are filled with books, and he spends his days reading. This self-reflexive appreciation for literature is inspiring for young readers; it suggests that reading is in itself a safeguard against the bleak, at times frightening world inside Lowry’s book.) It is hard to craft a narrative that projects all that through the space of a keyhole, which is what The Giver succeeds in doing. Son is in many ways a larger book, spanning nearly fifteen years, instead of just one. It begins approximately at the same time as The Giver and introduces us to Claire, a “Birthmother,” living in a dormitory with the other Birthmothers, who act as human egg incubators. These women never interact with the children they birth; the babies are assigned to the care of other couples. There is no relationship between mother and child—some women pop out babies, others make sure that the kids don’t die. Claire heroically escapes the community and winds up in a remote and relatively primitive village, where she prepares for the next part of her journey to the village where Jonas and Gabriel live. There the roles of men and women are noticeably distinct. The women bake pies and clear dishes at communal festivities. While all the men are referred to by their occupations, “Leader,” “Mentor,” and “Seer,” the women get titles like “Stocktender’s widow.” Even though the society has a progressive policy of open government, a history museum, and schools that teach Shakespeare and mathematics, equality is not a major concern. The final village of Son is clearly an alternative to the community of The Giver. Supreme control may be evil, but liberty has its drawbacks as well. Yet this is not Lowry’s main concern in Son. It is primarily a book about a mother searching for her son. Claire leaves home on two separate occasions, sacrificing romantic love, her youth, and her health—all so that she might be reunited with the son she never had the chance to nurture. On the son’s side of the narrative, descriptions linger on Gabriel’s observation of a mother doting on her children. Gabriel is “amused” by the way Jonas gives his children bedtime kisses, but when he watches Jonas’s wife with her children, “He felt a loss, a hole in his own life. Had anyone—alright; any woman—ever murmured to him that way, or brushed crumbs gently from his cheek? Had anyone ever mothered him?” No one has ever fathered him either, but this seems of no concern. Throughout the book Gabriel never longs for his father. This novel presents a mother who only thinks of her son, and a son who only wants his mother. Not long after publishing The Giver, Lowry lost her own son in a military training accident. It is not surprising, therefore, that Son is Lowry’s most personal book, that she writes herself into Claire and Claire’s desire to reunite with her son. It seems mean-spirited to quibble with that ostensible desire, but I cannot help but regret its consequences. If Claire can feel love for a baby, then this undermines Jonas’s uniqueness. This ability of Claire’s not only re-writes The Giver, but also un-writes it, destroying the singularity and the necessity of the hero and his story. I’m not sure that I take much more away from Son than a rather banal sense that mothers, and mothering, are important. While only a woman can birth a child, it is never made clear why it is so important to have a woman, any woman, murmur into a child’s ear and brush crumbs from the child’s cheek. Why is a father’s kiss merely “amusing,” while a mother’s touch can fill the hole felt in the life of an orphan? The novel begs such questions, and ultimately implies that we are hardwired to want our mothers. A father’s love is barely a consolation prize. Son is unquestionably a lesser book than The Giver. But the book’s reach is certainly greater and the themes more ambitious than those of the second and third books in The Giver quartet. In Son, Lowry attempts to order the universe with the relation of mother and son, resulting in a thematic texture that is inescapably gendered and feels limited for that reason. She may have shown us the world through a wide window, but the view is disappointingly dull. Dory Fox is a former literary intern at The New Republic.